This book brings together several directions of work in model theory between the late 1950s and early 1980s. It contains expository papers by pre-eminent researchers. Part I provides an introduction to the subject as a whole, as well as to the basic theory and examples. 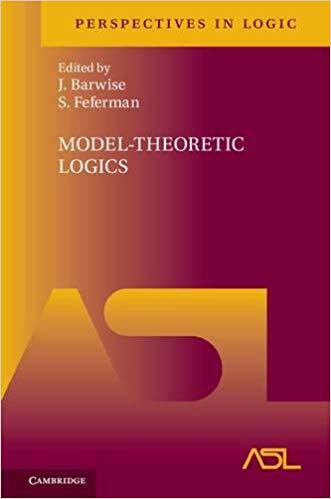 The rest of the book addresses finitary languages with additional quantifiers, infinitary languages, second-order logic, logics of topology and analysis, and advanced topics in abstract model theory. Many chapters can be read independently. Jon Barwise was a mathematician, philosopher and logician. He taught at the Universities of Yale and Wisconsin before becoming the first director of the Center for the Study of Language and Information at Stanford University. From 1990 until his death he was professor of philosophy at Indiana University. Solomon Feferman was an American philosopher and mathematician with works in mathematical logic.